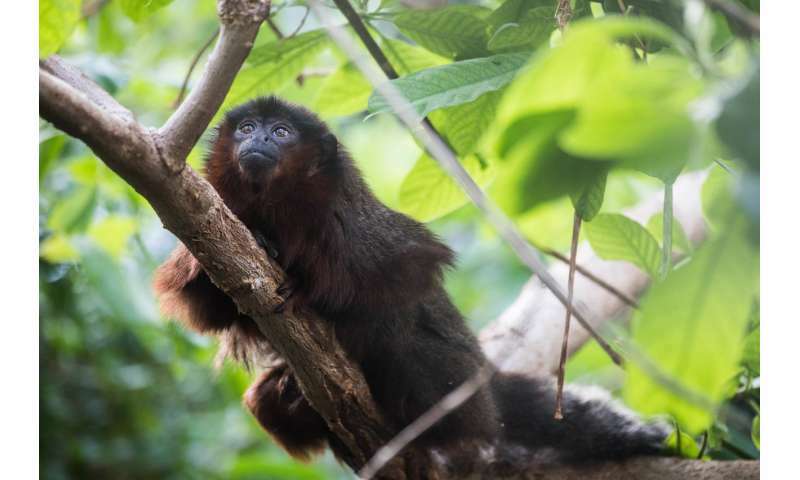 Analysis of ancient DNA of a mysterious extinct monkey named Xenothrix—which displays bizarre body characteristics very different to any living monkey—has revealed that it was in fact most closely related to South America's titi monkeys (Callicebinae). Having made their way overwater to Jamaica, probably on floating vegetation, their bones reveal they subsequently underwent remarkable evolutionary change. 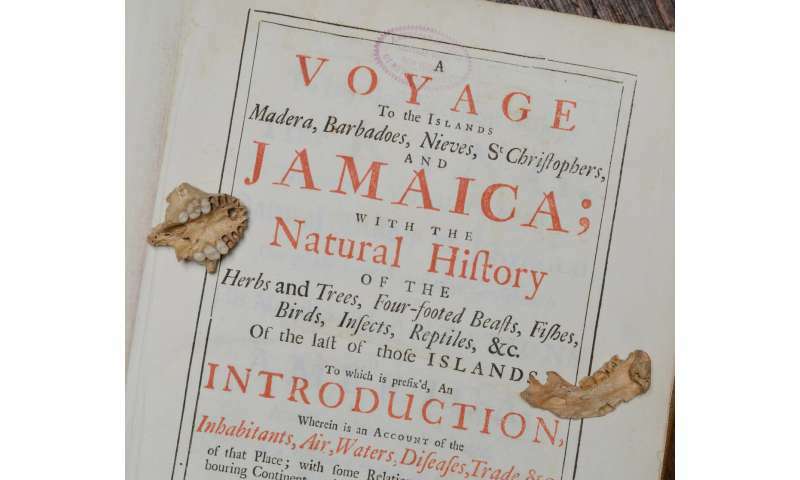 The research published today in Proceedings of the National Academy of Sciences and carried out by a team of experts from international conservation charity ZSL (Zoological Society of London), London's Natural History Museum (NHM), and the American Museum of Natural History in New York, also reveals that monkeys must have colonised the Caribbean islands more than once. The study reports an incredible discovery of how the unusual ecology of islands can dramatically influence animal evolution. Xenothrix, unlike any other monkey in the world, was a slow-moving tree-dweller with relatively few teeth, and leg bones somewhat like a rodent's. Its unusual appearance has made it difficult for scientists to work out what it was related to and how it evolved. However, the scientific team have successfully extracted the first ever ancient DNA from an extinct Caribbean primate—uncovered from bones excavated in a Jamaican cave and providing important new evolutionary insights. Paleontologists find first fossil monkey in North America—but how did it get here? The question not answered is where did the monkeys in South America come from in the first place, if indeed these little guys were there for 11 million years? The most widely accepted hypothesis is that New World monkeys are descended from African ancestors who, by some means or another, rode natural rafts across the Atlantic ocean, which was about 1,800 km wide 40 mya as opposed to 2,800 km wide today. Such natural rafts consisting of trees and other plant material washed out to sea during storms are still often seen today, some large enough to provide food and collect rain water. As the sea level was much lower during the Oligocene a larger number of islands would also certainly have existed as possible staging points for this migration. As the sea level was much lower during the Oligocene a larger number of islands would also certainly have existed as possible staging points for this migration. Fernando de Noronha archipelago might be last remnant of a once larger archipelago, similar to Azores, situated along the ridge? Quickly checking the bathymetry maps, I also noticed a group of seamounts south of Cape Verde archipelago, Sierra Leone rise. I'm now interested in learning more about possible geology of the two, are they linked.